Malcolm Gladwell is a gifted storyteller. 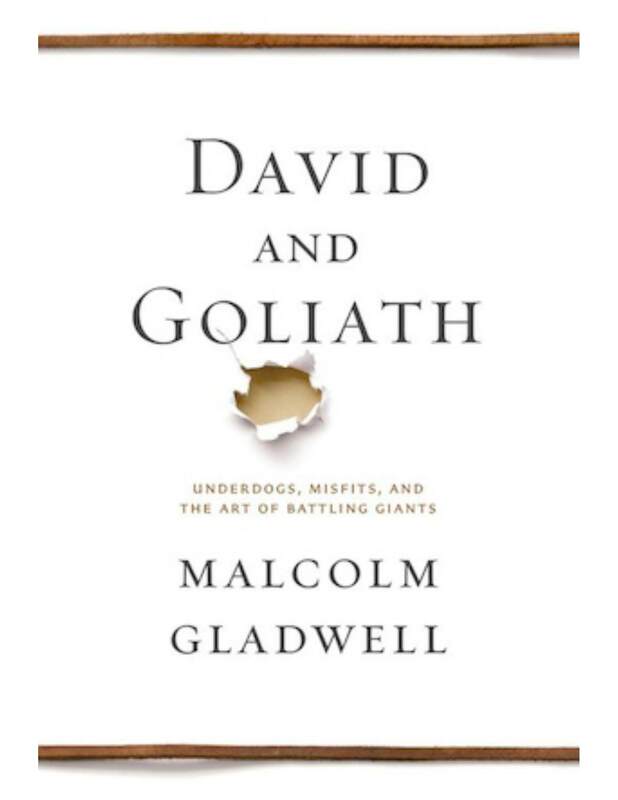 His latest book, David and Goliath, follows in the spirit of his earlier bestsellers, The Tipping Point, Blink, and Outliers. I downloaded the audible version the day it came out and quickly finished it. Only then, did I read the reviews. I wasn’t sure if I’d read the same book. The WSJ reviewer criticized what he felt were slim research findings to support some of Gladwell’s hypotheses. The NY Times felt the book was not convincing enough. As in Gladwell’s other books, he draws upon history, social science, and storytelling to reshape the way we look at the world around us. In doing so, some of his information is anecdotal (ever watch the evening news? ), but he does raise good questions. This is his gift. He points. He has us pause. He asks us to reconsider. Tom Rath in his Vital Friends: the people you can’t afford to live without, describes the eight types of people we ought to have in our lives. One of these is what he calls the “Mind Opener.” This is the friend or colleague who expands your horizons and encourages you to embrace new ideas, opportunities or people. This is the friend who challenges you to think in innovative ways. He or she asks the questions that stop you in your tracks and in doing so makes you more receptive to new ideas. When you’re around this person you tend to be more unguarded and open to expressing your opinions. Face it, the Mind Opener broadens your perspective and makes you a better person. Who is the person you go to when you need new ideas? Who asks you those courageous questions you would otherwise avoid? If there isn’t someone who regularly does this for you, who COULD it be? All of us are better when we periodically are challenged to question conventional wisdom or the status quo. For this reason, I urge you to spend a few hours with Malcolm Gladwell. You will not be sorry.